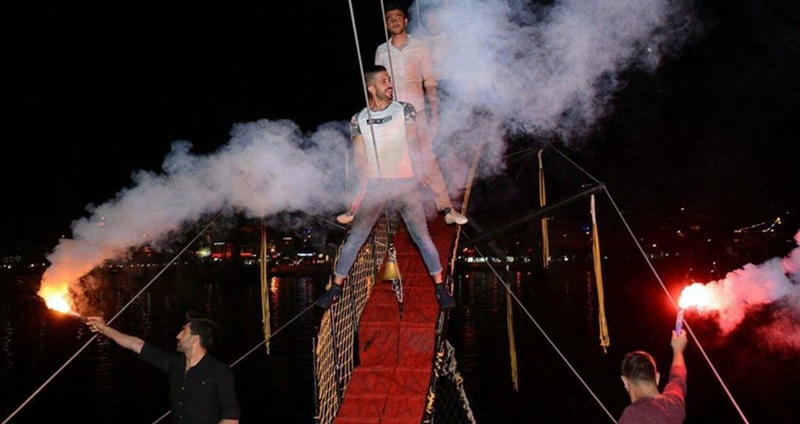 If you are having a relaxed and fun vacation in our gorgeous resort-town of Icmeler, and you would like to stir it up a bit, then our Icmeler Pirate Party Boat is just what you need. 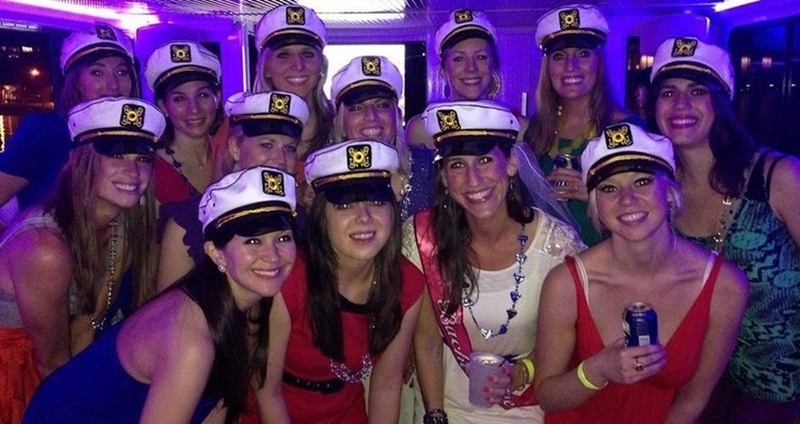 This night-cruise is quite unique and it is a perfect fit for couples and fun-loving people in general. Our marvelous Icmeler Pirate Party Boat cruise starts about 19:30 when our licensed driver will take you for a ride to the pier. At the pier you will join the rest of the crew on our lavish and quite scenic Pirate Party Boat. Once you get on board of the Pirate Boat you will be welcomed by nonother then pirates themselves! 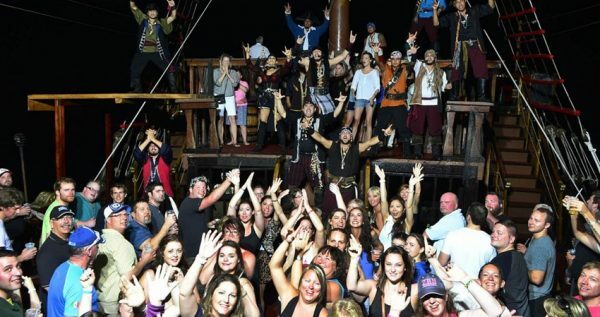 Staff members of the boat will all be dressed as pirates, with colorful raggedy clothes, pirate bandanas and some scary-looking eye-patches. Staff members also speak English, so you don’t have to worry about the language-barrier. One of them will always be around to answer any of the questions you may have, and get you a drink. Drinks will be served as long as the cruise lasts, and we should mention that the drinks are not included in the tour price. Icmeler Pirate Party Boat comes with all the necessary amenities to ensure you have a great time. 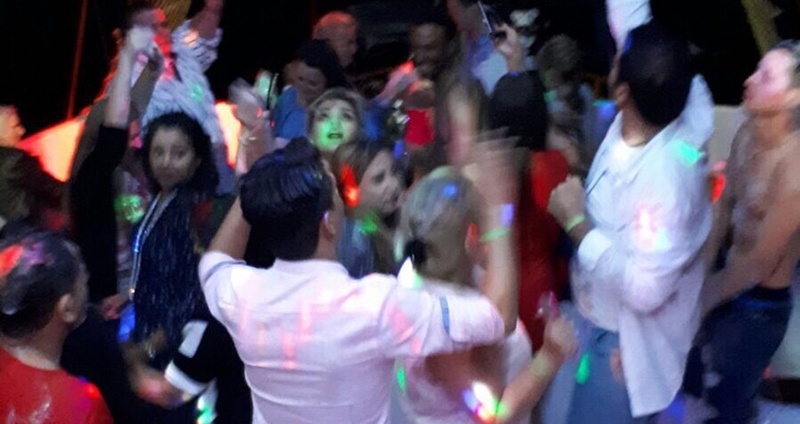 We always hire a terrific DJ for this cruise, so you can enjoy some awesome music while you dance and sip your favorite drink. During the night we will also organize a foam-party, so you will get to enjoy some frivolous fun while you dance in some bubbly froth. Our Pirate Boat foam-parties are always iconic and they are the highlight of these cruises. We should note that this fun tour includes transportation from your hotel to the boat, entrance fee, boat cruise, and the full service of our English-speaking crew. It isn’t allowed to bring any drinks from outside to the boat with you, as a wide variety of both alcoholic and nonalcoholic drinks, will be served on the boat. We also always advise our guests to bring their cameras with them and make some pictures to show their friends and family ate home. Make sure to check our calendar and book your spot on our fantastic Icmeler Pirate Party Boat cruise. Icmeler Pirate Party Boat Trip starts at approximately 19:30 with a complementary drive from your resort in Icmeler to the pier. At the pier you will board our phenomenal Pirate Boat, where you will be greeted by the amusing staff members of the Pirate Boat. All of them will be costumed to look like real life medieval pirates. Silk bandanas, eye-patches, colorful sashes around the waist and occasional three-cornered hat are the mandatory attire of any pirate. This way you will also be able to easily spot a crew-member if you need a drink or anything else. We should also mention that all of our “pirates” speak English so you don’t have to worry about communication issues. During the next couple of hours, we will be slowly cruising the Turkish waters of Mediterranean. You will get to enjoy the phenomenal scenery at night, with sparkly starts and summer moonlight making everything all the more mysterious and romantic. 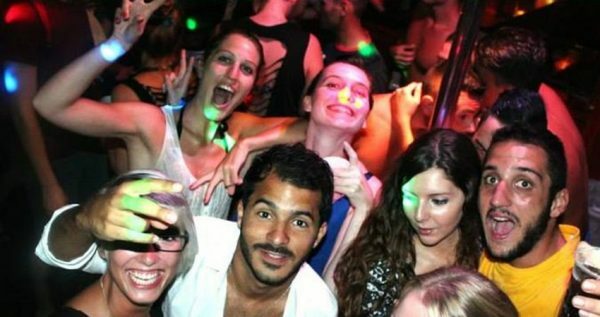 For the purpose of this entertaining cruise we always employ one of the skillful domestic DJs. You can be sure that you will be dancing and enjoying the most modern sounds of the current music trends. During the night we will also throw an amazing foam party. 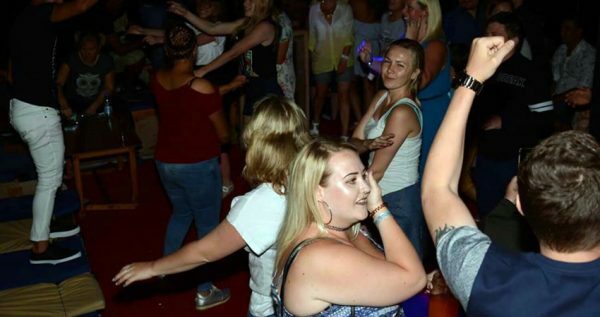 While the delicious drinks are everywhere, melodic tunes are flowing in the background, you will be partying skin-soaked in slippery bubbly foam. 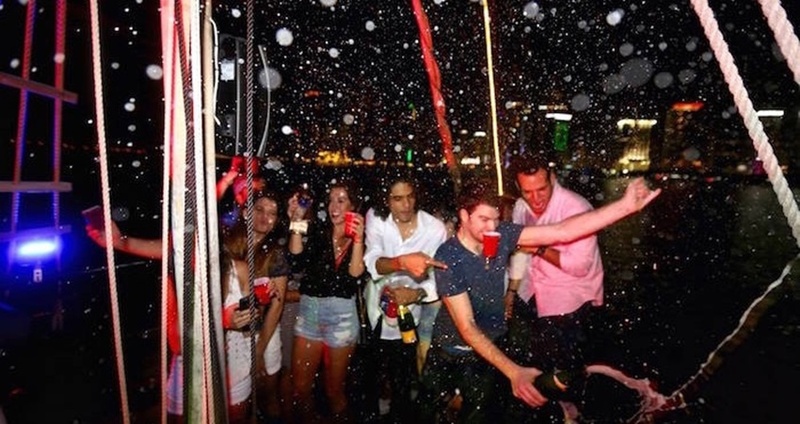 Foam parties are frequent in clubs and at private parties, but you will rarely get to enjoy one on a boat at night. This unique experience will make any holiday unforgettable. Icmeler Pirate Party Boat cruise includes hotel transport from Icmeler to the marina, entrance fee, services of the English-speaking “pirate” staff, as well as the night boat trip. However, we should note that the drinks and drop-back services are not included in the primary tour price. 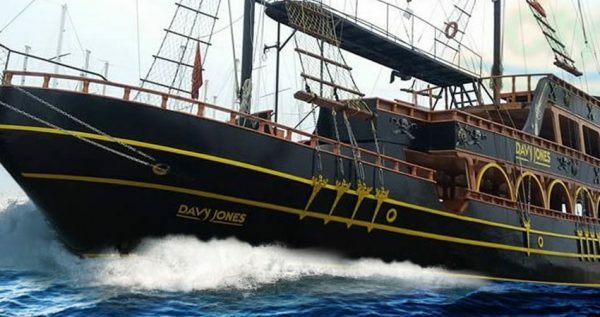 Our Pirate Boat is expected to arrive back at the port at about mid night. We strongly advise all of our guests to organize their transportation in time. If you want to reserve your spot on this iconic tour check out our calendar and book as soon as possible.